Please feel free to contact us: +45 75 69 10 10 – we are ready to assist you. 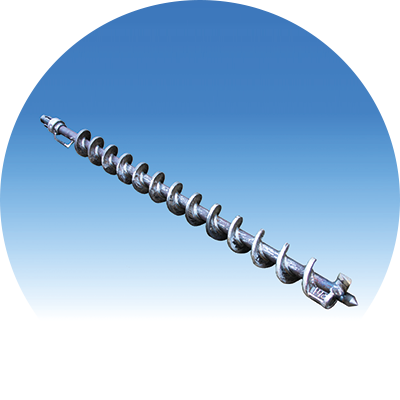 Since the mid-60’s, we have manufactured earth augers for many different applications. 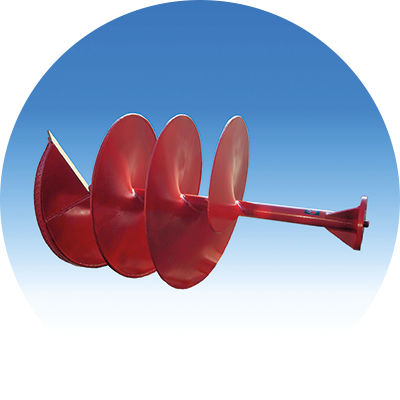 The first earth augers were supplied to electricity companies for drilling of holes for power poles. New applications have arisen consistently over the years, e.g. : Foundation and pile driving jobs, drilling of holes in connection with contracting projects, well drilling, horizontal drilling underneath roads. In recent years, especially geotechnical examinations and soil testing in connection with environmental assessments have become important markets. 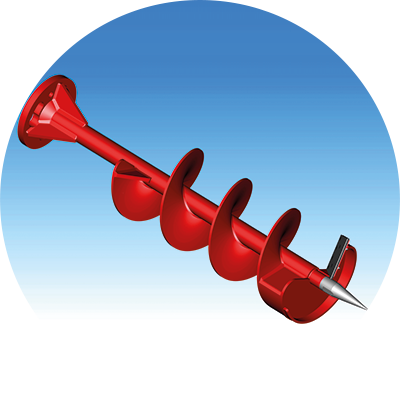 Our range of earth augers includes standard- and special augers in diameters from Ø 50 mm – Ø 2000. A comprehensive range of standard and special couplings provides adaptability to any coupling system. The replaceable spikes and blades are manufactured from special steel in order to increase service life.